Universal Helicopters takes pride in offering the most highly advanced and exceptional helicopter flight training in the Robinson R22 Beta II, Robinson R44 Raven II, R66 and Bell 206 B3 Jetranger helicopters. Our President, Dr. Gordon Jiroux, and his flight instructors have set the standard for excellence in fight instruction; teaching students from all over the U.S. and around the world. Universal Helicopters will continue to set the standard and make safety and quality our top priority each and every day. Private pilot is the introduction to helicopter flight, at the end of your training you are prepared to enroll in instrument or commercial training. You are licensed to carry passengers and cargo for pleasure, not for hire. Instrument/Commercial allows a pilot to apply their instrument time and earned cross country toward their commercial certificate. Flight instructors provide training in knowledge and flight. Provide endorsements for certificates, ratings, tests and conduct flight reviews. This is an excellent opportunity to build hours and experience. This rating requires that you are current as a Certified Flight Instructor and you must posses an instrument rating. This rating allows the pilot to provide flight and ground training for pilots seeking an instrument or CFII rating. Safety is a learned behavior, At Universal Helicopters, our goal is to create a safe, effective training environment for our Students, Instructors and other employees. Safety is our #1 Priority. All operational decisions are predicated on making, keeping and improving the safety of our operations. We have comprehensive safety policies, practices and procedures which all students and instructors must read, understand and agree to comply with to create and maintain the safest environment. Universal Helicopters utilizes Robinson R22 Beta II helicopters for primary flight training. Superior perfomance, outstanding reliability, and exceptional value have made the two seat R22 the world’s most popular training helicopter for nearly two decades. Universal Helicopters utilizes Robinson R44 Raven I & II helicopters for commercial, instrument and flight instructor training of which Robinson has to date produced over 5000. The R44 Raven is an outstanding four seat, 130 mph, 12-18 gallons per hour, hydraulic power controls helicopter, delivering the performance of a much more expensive turbine helicopter. Universal Helicopters utilizes the Robinson R66 for turbine conversion courses. Training can be taken either as part of the Commercial Course, or as a stand-alone Part 141 approved turbine conversion course. The R66 was introduced in 2010 and as of mid 2014 there are over 500 operating in more than 30 countries around the world. The Bell 206 is a family of two bladed, single-engine helicopters originally introduced to the commercial market place in 1967 as the Bell 206A. The 206BIII JetRanger was introduced in 1977 with a modified tail rotor and more powerful Allison 250 C20 engine and became the mainstay single engine turbine helicopter around the world for over 20 years. We are dedicated solely to flight training. We are not sidetracked or preoccupied by other activities as many other flight schools are (for example aerial photography, tours, charters, transportation, sightseeing, Part 135 operations, etc.). We only conduct flight training and are approved by the FAA to train under CFR 14 Part 141. To provide the highest quality helicopter flight and ground training in the safest possible environment and in the shortest elapsed time. In the end analysis this results in the least cost for UHI students. It results in their entry into the professional helicopter pilot market with the highest possible qualifications from the leader in helicopter pilot training and with an excellent possibility of finding the best jobs in industry. Universal Helicopters is managed by President & CEO Dr. Gordon Jiroux, hc, and his team of highly experienced Helicopter Flight Instructors and Managers. Currently there is no one employed at Universal Helicopter with a last name starting with that letter. Gordon is widely considered to be one of the most knowledgeable and skilled professionals within the helicopter training industry. He completed his helicopter private, commercial and CFI ratings at Pacific Wing & Rotor (PWR) of Long Beach California in 1981. It was at PWR, the first flight school in the world to receive a Robinson R22 for training purposes that Gordon began his career as a certified flight instructor. He purchased R22 serial number #4 and opened a flight school in Scottsdale Arizona, and by 1983 at the age of 25, the FAA designated Gordon the position of pilot examiner in the Robinson R22. This helped him set the standard for helicopter flight training in his designated area of operation. Gordon’s dedication to quality and safety made him the obvious choice in 1983, when the Robinson Helicopter Company issued him the Dealership/Service Center of Arizona. By 1990 his company was the largest helicopter flight school in the world utilizing 18 Robinson R22’s and 3 Bell Jet Rangers. Today after more than 30 years of flying the Robinson helicopters, Gordon is known nationwide as well as abroad, as one of the most professional, knowledgeable and conscientious helicopter flight instructors. He has the reputation for providing the most comprehensive, thorough and organized flight training available, with a special emphasis placed on the student’s individualized goals. Jiroux, continually passes his helicopter knowledge and expertise on to flight instructors as well as UHI personnel to ensure that the organization’s quality of instruction remains at the highest level. He also remains in direct and constant communication with the Robinson Helicopter Company for the sole purpose of helping to provide awareness of industry concerns to the manufacturer. Gordon received an Honorary Doctorate Degree in Aviation Science with all of the Rights, Honors, Privileges and Responsibilities in May 4, 2013. This recognition was awarded to Jiroux in appreciation of his outstanding contributions to Dodge City Community College, his vast aviation knowledge and his commitment and dedication to the global aviation industry. Under the leadership of President Jiroux, Universal Helicopters is the only contracted provider to Embry Riddle Aeronautical University since 2010. This contract requires UHI to provide all of the helicopter flight courses for ERAU’s degree programs. Additionally, in January 2019, UHI became the only Bell Helicopter Certified Training Facility in the US. This specialize contract to provide Bell training to Bell’s customers is located in Dallas Texas. Chief Operations Officer of Universal Flight Concepts. Universal Flight Concepts is the holding company of four organizations encompassing Universal Helicopters (the only Bell Certified Training Facility in the U.S.), Universal Fixed Wing, Night Flight Concepts and Heliwagon. Danny Mackenzie graduated from Universal Helicopter’s (UHI) full time Rotorcraft-Helicopter Professional Pilot Program 18 years ago and distinguished himself as a trailblazer early on by accomplishing all his ratings in record completion time, while maintaining an outstanding academic and practical performance standard. Danny has developed into an accomplished aviator with an unblemished record and devoted executive for UHI throughout his tenure. While working as an accomplished Helicopter Flight Instructor for UHI, he was appointed as Assistant Chief Instructor and Location Director helping manage all UHI’s locations, eventually becoming the Chief Instructor/Pilot. In 2008, Danny moved to Prescott AZ to open one of UHI’s High Altitude Training Centers and launch the UHI Center of Excellence for CFI training. Within only two years, Universal Helicopters secured the first ever contract awarded by Embry Riddle Aeronautical University (ERAU) to provide helicopter flight instruction to their Prescott campus helicopter aviation students. Mr. Mackenzie was instrumental in his management of operations at this location since inception and is directly responsible for its continued success. • Presented numerous Aviation Safety Seminars including Heli-Expo on the subject of helicopter flight training safety. • UHI’s Chief Pilot for the Bell Certified Training Facility, (CTF) in Dallas Tx. • Prior Robinson Helicopter Factory Safety Pilot. • Bachelors of Science Degree from Northern Arizona University. Matt Hewlett also known as “Hewy” is the director of operations for Universal Helicopters Provo campus. Matt has been with Universal Helicopters since 2003. He completed his flight training at the Universal Helicopters Provo campus. Matt initially began his flight training as a “hobby” and quickly discovered he had a deep passion for Helicopter Flight. He made major changes in his life and career so he could devote all his time to embrace aviation and become a career pilot. Matt has a distinguished resumé holding an ATP Helicopter Certificate, Gold Seal Instructor, 135 Director of Operations, 141 Chief instructor, Designated Pilot examiner and 145 Repair Station Manager. He also holds a Bachelors degree in Operations Management. Matt was lucky early on and had opportunities to meet very affluent and well-respected individuals that mentored him and helped pave the way for him to quickly advance and develop as a Pilot, Instructor and eventually an Examiner. Matt is happily married since 1998 and has 5 children and 3 grandchildren. Matt loves the outdoors including motorcycle riding, fishing, hunting and working out with his wife. They also enjoy road trips and spending quality time together as a family. Matts Goals are to focus on a healthy lifestyle and staying close to his family. Dustin is a graduate of UHI’s professional pilot program, having joined the program in July 2003 and graduated as a Commercial Pilot and Certified Flight Instructor for Rotorcraft Helicopter and Instrument Helicopter in July 2004. Dustin came to Universal with a fixed wing private certificate. He has an Associates in Science degree from Scottsdale Community College in Business Administration and a Bachelor of Science degree in Global Business with emphasis on Leadership and Management from Arizona State University. He was previously Universal’s Operations Director for Dodge City, Kansas and managed the start up of the Flight Instructor Program with Dodge City Community College. Dustin recently completed his Airplane certificates and ratings through CFII. Dustin now operates as the Director of operations and Assistant Chief Instructor for the Scottsdale location. In addition he acts as a Designated Pilot Examiner for Helicopter. Dustin enjoys time with his family, camping, scuba diving, fishing and hiking and has a passion for playing drums. John started his training in 2004 at UHI’s Provo, Utah location and graduated from Universal’s professional pilot program in Scottsdale in 2005. Since then he has provided flight instruction in our Scottsdale AZ, Prescott AZ, Salina KS, and Camarillo CA locations. John eventually took over and managed the Flight Instructor program firstly at UHI’s Scottsdale Flight School and then in Prescott in May of 2008. It was in Prescott that UHI set up a Flight Instructor “Center of Excellence” under his superior leadership. Shortly after he was appointed to be Assistant Chief Instructor under Part141. In February 2012, he was appointed to be Director of Operations at UHI’s Salina, Kansas flight school location. In 2015 John moved back to Prescott and now operates as the Safety Manager. When not at work he enjoys spending time with his family, working in his garage and spending time outdoors. Eric is a graduate of UHI’s Professional Pilot program, having started his training in Long Beach in January 2007. He completed his Flight Instructor Instrument training at Scottsdale in August of that year and immediately started work for UHI as a flight instructor. In May 2009 he moved to the Prescott school location becoming a Part 141 instructor then Check Pilot. In 2011 Eric took leadership of the “Center of Excellence” for the initial helicopter Flight Instructor program. In 2011 was also selected as Safety Officer for the Prescott school location and was appointed Prescott Assistant Chief Instructor at the beginning of 2012. Eric has been an essential part of UHI management working with our commercial and flight instructor students and ultimately our instructors to maintain continuity in training to ensure our pilot graduates and instructors are skilled and proficient. Eric has 12 years as a helicopter instructor, 6300 hours of flight and an Associates of Applied Science degree. His main goal for his career is to remain incident/crash free. Outside of work, Eric enjoys spending time with his wife and two daughters, watching movies, the great outdoors, and mountain biking. Dave started his flying career at Universal Helicopters Provo location in 2005. He initially worked as a flight instructor at the Provo location but was quickly moved to a position as an assistant Director of Operations and Assistant Chief Instructor. Dave left Universal Helicopters and moved to Las Vegas with Papillon as a tour pilot in 2010 where he was a lead pilot, 135 check airman and ultimately Training Director. In 2013 Dave returned to Universal Helicopters in Prescott as an Assistant Chief Pilot and Director of Operations. In 2014 Dave was designated as a Pilot Examiner in helicopters and currently manages flight operations at the Prescott location. Dave chose instruction because he enjoys teaching and he loves to see students gain and improve skills. “In training, you get to see someone move from not knowing anything about a helicopter to being an instructor that is helping someone else through the process. That is more satisfying than any other type of flying in my opinion”. With more than 12 years of flight instruction and years of practical experience Dave brings skill and qualification to Universal Helicopters. In addition Dave holds a Bachelor’s degree in Aviation and Associate’s degrees in Aviation Management and Aviation Safety from Utah Valley University. In his personal time he likes to spend time with his wife and family, he loves to be outdoors and doing activities that challenge him. Pamela is a native of Texas that came to Prescott in 2011, where she started as a Receptionist at Universal Helicopters Prescott location. Pamela was promoted to Executive Secretary to the President within the first year. The following year, she was promoted to Director of Human Resources, Payroll and Administrative Manager for the helicopter flight school which also included managing multiple businesses for the President. Currently Pamela has worked for Universal Helicopters for 8 years and is a keystone in the operations of the business. Pamela is also a successful local business owner in Prescott. She enjoys contributing heavily to the community and believes “Dreams are completely obtainable with just a little patience and a lot of elbow grease”. In her free time Pamela loves to spend time with her daughters and grandsons. She loves outdoor activities such as kayaking, riding atv’s, and riding with her husband on his Harley. Wallace started his training with Universal Helicopters at the Prescott location in October of 2009. Since his start he has continually advanced. Wallace quickly gained a position as a check pilot then, shortly, as an Assistant Chief Instructor. He has also worked directly for the President of the company regarding instructor progress and qualification and student/instructor placement. As an assigned Director of Operations Wallace has managed all training scheduling and aircraft maintenance scheduling. Currently Wallace manages the Instrument and Flight Instructor Instrument training. Wallace holds an Associates Degree in Aviation Science and is currently working on an Bachelors degree in Aviation. As of late 2018 he has logged over 4500 hours of flight as an instructor. As a young man Wallace’s father introduced him to aviation with flight in a Cessna 182. He has always had a desire to fly. Wallace has 10 years of experience as a home builder and at the decline of the building boom in 2009 found Danny Mackenzie and Universal Helicopters. Since then he hasn’t looked back and feels he has been guided and blessed to be in this career field. In his off time Wallace enjoys his family as the highlight of his life, they spend time outdoors hunting, camping, and fishing in the White Mountains of Arizona. He also enjoys skiing and rappelling. Joshua has always had an interest in aviation. Growing up he watched aircraft at a local airport and hoped to fly. He started his training with UHI at the Provo location in 2009 and became and instructor in 2011. Since then Joshua has graduated with a Bachelors Degree in Aviation Science. Joshua was made a check pilot and shortly after an Assistant Chief Pilot in Universal Helicopters 141 program. He currently holds an ATP Rotorcraft Helicopter with CFI and CFII, he is an advanced Ground instructor and has well over 4000 hours of flight with the majority as flight instruction. Joe is an experienced aviator. He began his flight career at 18 when he purchased a Cessna 150. At that point in his life, he knew he was in love with flying. At age 19 he paid for training in the Robinson R22 out of curiosity and at that is when he knew he preferred to fly helicopters. Joe began college at Texas Aero Tech to get an Airframe and Powerplant certification then, at age 20, joined the army. He completed flight school in Fort Rucker Alabama with the Army and continued to AH-64A Apache flight training. He became an Apache instructor in 1989. In 2005 Joe took a break from aviation after retiring but could not stay away. 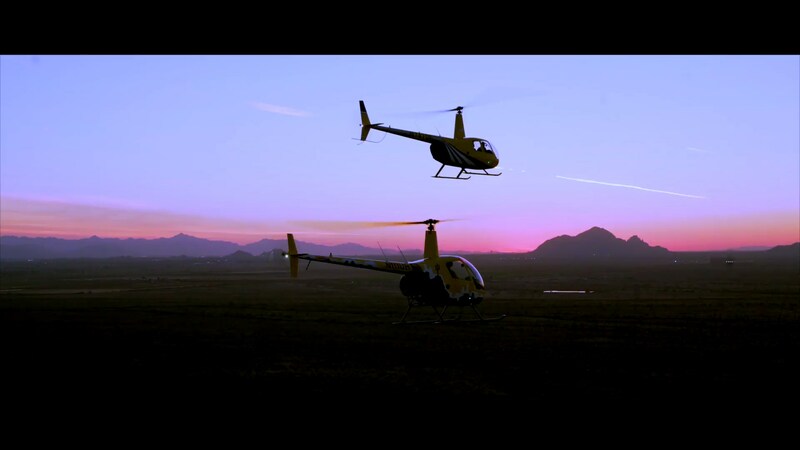 In 2012 Joe began to fly with Universal Helicopters in Scottsdale. To this day he still loves teaching and has a goal to gain a position as an FAA Designated Pilot Examiner (DPE). Joe has 20 years as a pilot, 17 as an instructor with more than 5000 hours of helicopter flight and 550 in airplane. In his free time Joe loves wood working, hiking and Christian Apologetics.